5. How Can You Mend a Broken Heart? 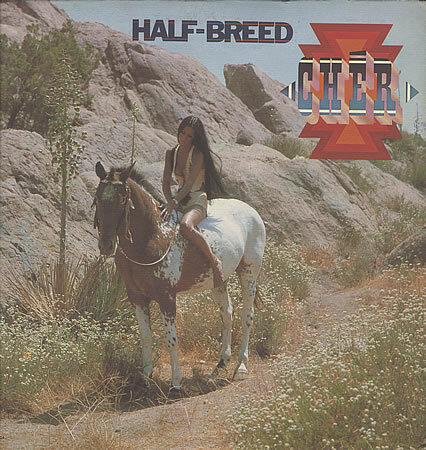 The second album released by Cher in 1973 was Half-Breed. After the failure of the previous pop-standard style album, Bittersweet White Light, Cher abandoned forever her husband Sonny Bono as a producer for her albums. Snuff Garrett returned to work with Cher after the success of Cher and the minor hit Foxy Lady, recording another narrative ballad album. The opening track of the album is the cover of the penned hit song by Paul and Linda McCartney “My Love”, that was released in March 1973. The album contains others two covers, the Bee-Gees’ “How Can You Mend a Broken Heart”, and The Beatles’ “The Long and Winding Road”. All the songs that Cher covered in the album were originally number one hits by the original artists on the US “Billboard 200” in the early 70’s. David Paich contributed for the “David’s Song” and for the arrangements in the album. The last song of the album, “Chastity Sun”, was re-written by Cher. Originally entitled “Ruby Jean & Billy Lee” was a song by Soft rock band Seals and Crofts released in their 1973 album Diamond Girl. The re-written version of Cher was a dedication to her first child Chastity Bono.